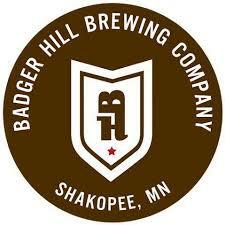 At Badger Hill Brewing we think some of the best things happen over a beer. Friendships begin, ideas are shared, and some of the best stories are told. Heck, our story began over a beer. Broc and Britt met years ago over beer and they eventually gave little brother Brent his first beer (he was 21 of course). And, the three of us met Michael brewing beer. Our team of four outgrew the space at Lucid Brewing: now we have our own brewery and taproom South of the River, in Shakopee, MN.